I have so many clothes crammed into wardrobes, far more than the average person yet I've got nothing to wear?!? .... Sound familiar? 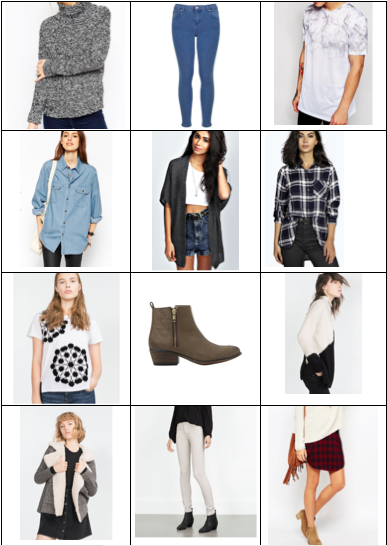 After reading Viviannadoesmakeup's post about a capsule wardrobe I went to check out Un-fancy's blog and knew I had to give it a go. Caroline recommends paring down your clothes into a 32 piece capsule wardrobe. These should include tops, bottoms, dresses, outerwear and shoes but not workout clothes, jewellery, accessories, purses, swimsuits, pjs, underwear. I think the problem before has been that a lot of my wardrobe doesn't interlink with each other. All the items I have here go together which gives me so many more outfit possibilities. I have decided not to include shoes in my capsule wardrobe as I found it quite difficult to pare down to 32 including shoes. I haven't included very posh dresses either e.g. prom dresses/ wedding attire as this really isn't worn very often at all.